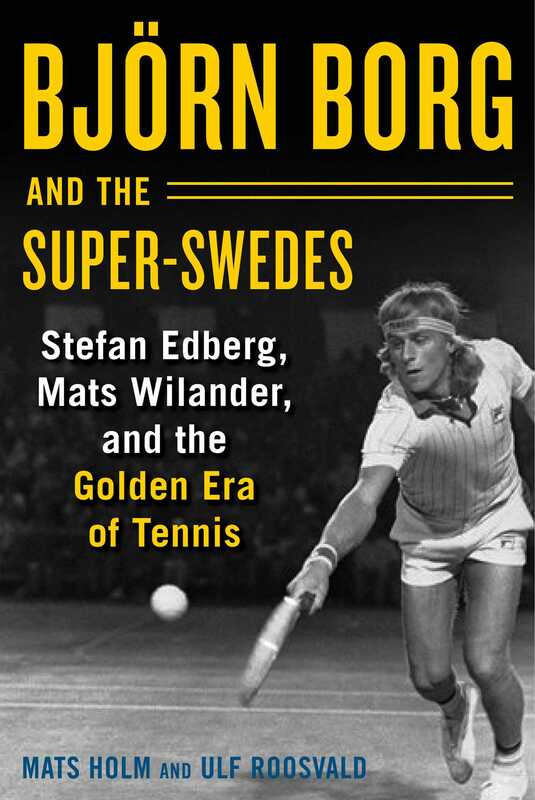 Written by Mats Holm and Ulf Roosvald, Björn Borg and the Super-Swedes explains how a small country with eight million inhabitants like Sweden could become the leading nation in tennis and an example to imitate worldwide. It starts with the legend of Björn Borg, the taciturn and mysterious Swede who became an icon of the ’70s and turned tennis into a global sport, and ends with the Kings of Tennis, the nostalgic senior event part of the Champions Tour held each year in Stockholm. The 1985 Australian Open final, the first (and only, so far) all-Swedish Grand Slam final in the history of tennis, between Stefan Edberg and Mats Wilander, is a prominent focus of the book. The classic Davis Cup encounters between USA and Sweden in 1982 and 1984 and the Borg-John McEnroe rivalry are also key story lines. The book also includes off-the-court details about the players, painting a well-rounded picture of their personalities, as well as context on the politics of Sweden at the time, including the impact of the Social Democratic Party. The perfect gift for tennis aficionados and history buffs alike! Mats Holm is a Swedish journalist, lecturer, and writer who worked as a freelance reporter for several years. The author of six books, Holm resides in Sweden. Ulf Roosvald is a Swedish journalist who is currently the editor of Göteborgs-Posten newspaper’s weekend magazine. He is the author of two other books and has been a staff member at the acclaimed Swedish soccer magazine Offside. Roosvald is the father of two and lives with his family in Gothenburg, Sweden.